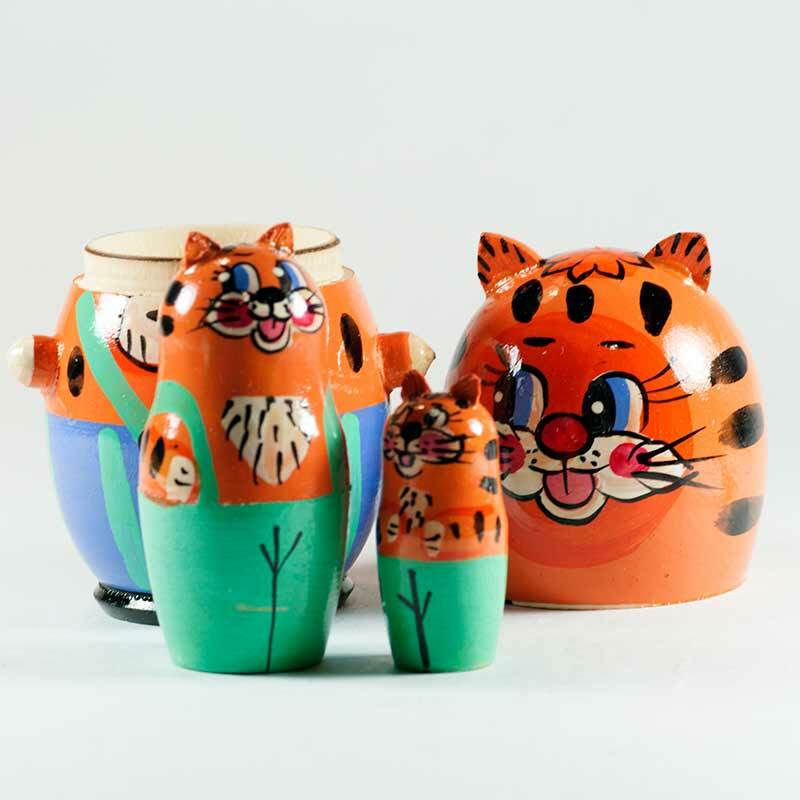 Nesting Doll Little Tigers is a set of animals matryoshka dolls. 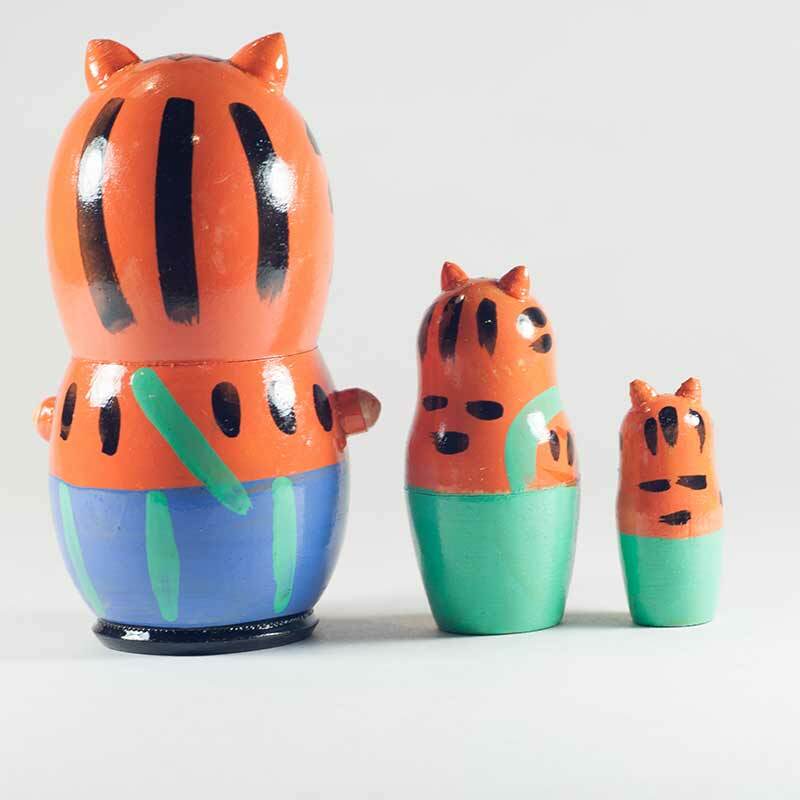 These nesting dolls are made with ears fixed to the regular nesting doll - it gives a 3D effect. 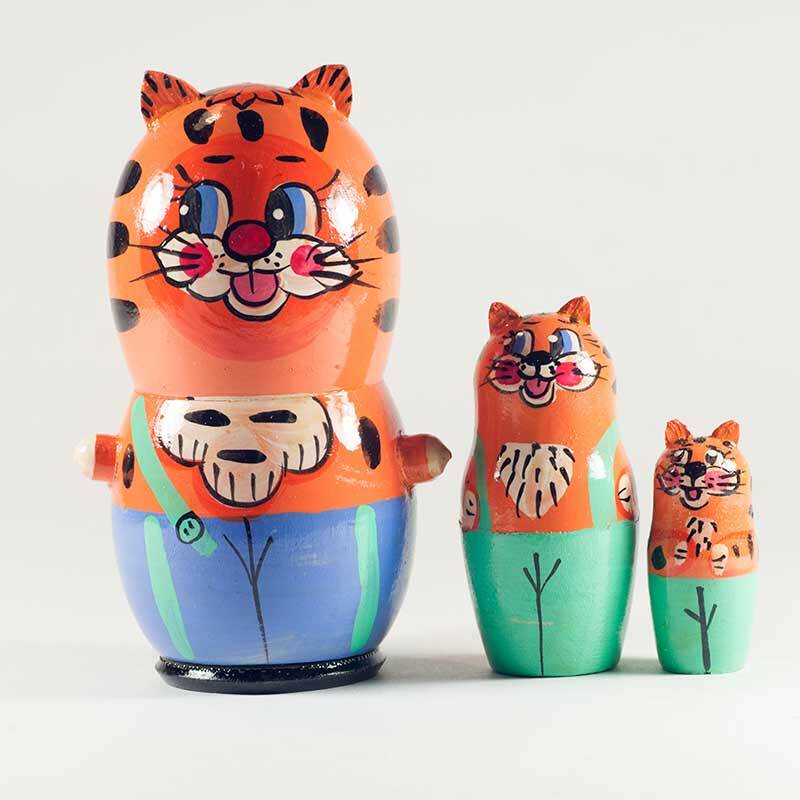 The nesting doll describes a company of three little tigers. 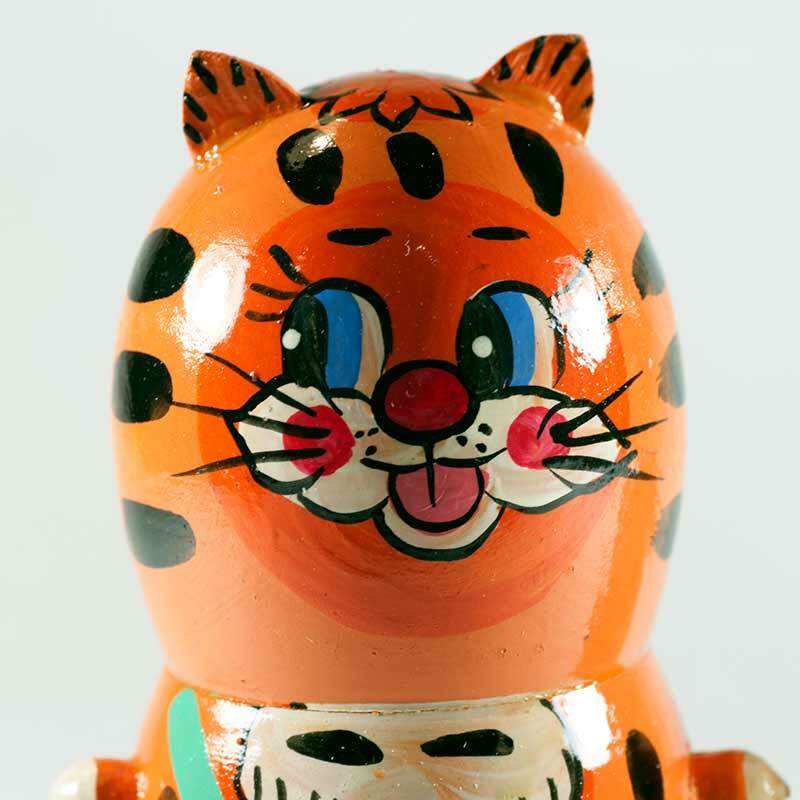 The nesting doll is painted with tempera paints and then finished with fine oil lacquer.